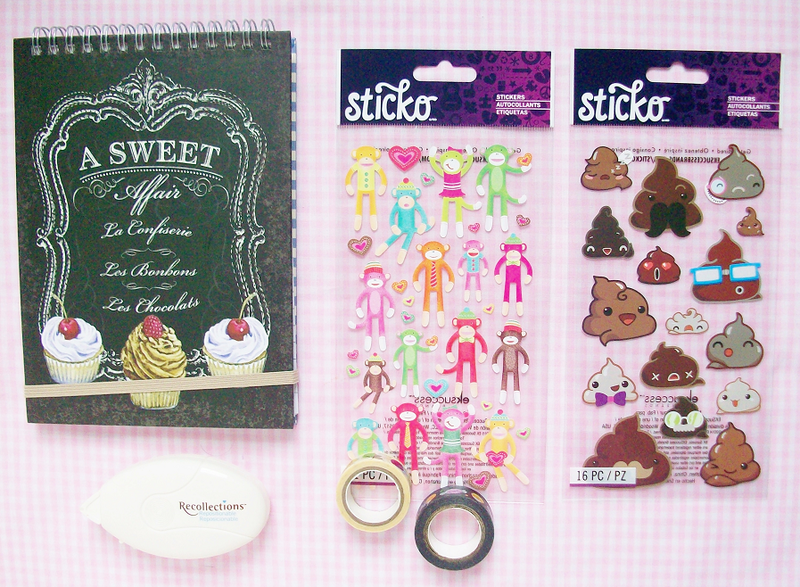 I mentioned in a post a while back that I regretted not buying "chocolate frosting" stickers from Michael's, well guess what? I went back and bought them! I also bought some another stationary supplies from Michael's so of course I had to make another stationary post. 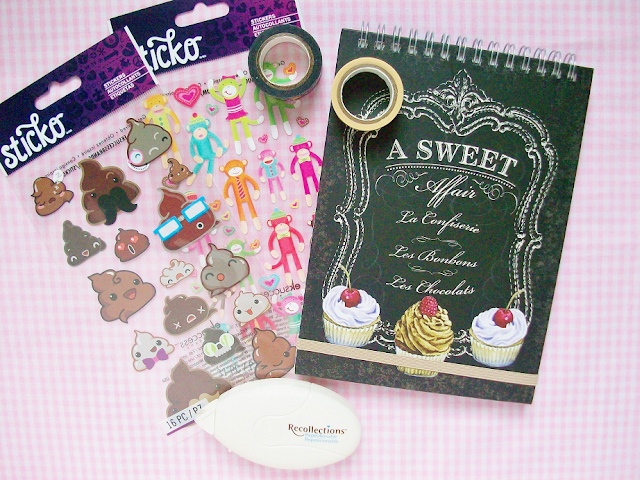 I also included a few items I bought from Aloha Prints Co because I didn't know where else to include it. 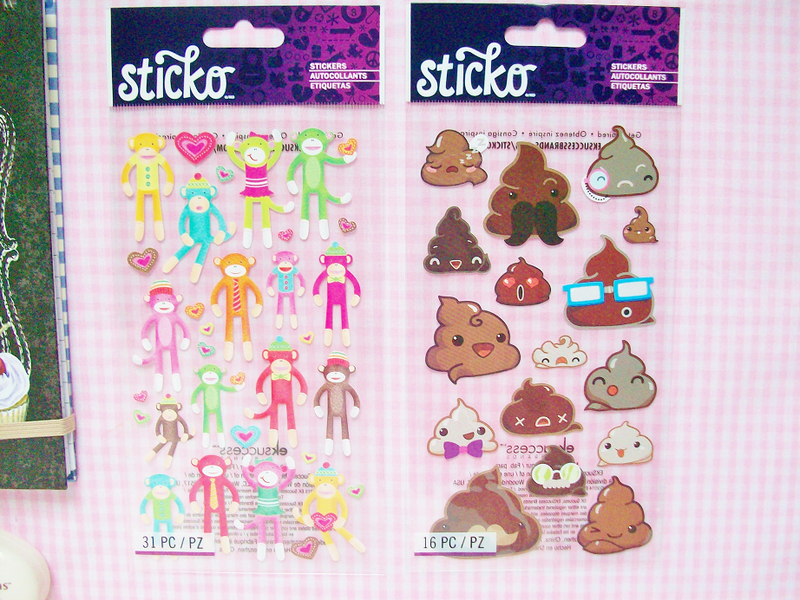 Along with the chocolate frosting stickers I also found these cute sock money stickers and I had to buy them! I have a slight obsession with sock monkeys so I couldn't leave without them! Right when I was about to check out I passed by the dollar section of Michael's and completely got fooled into getting this adorable notebook. I love the design of the notebook, it looks like a pastry board that you would see at a Parisian cafe. Plus, it was only a dollar so I couldn't say no! I originally went to Michael's to purchase a correction tape. Before I bought this I use to used double sided tape to glue everything together. 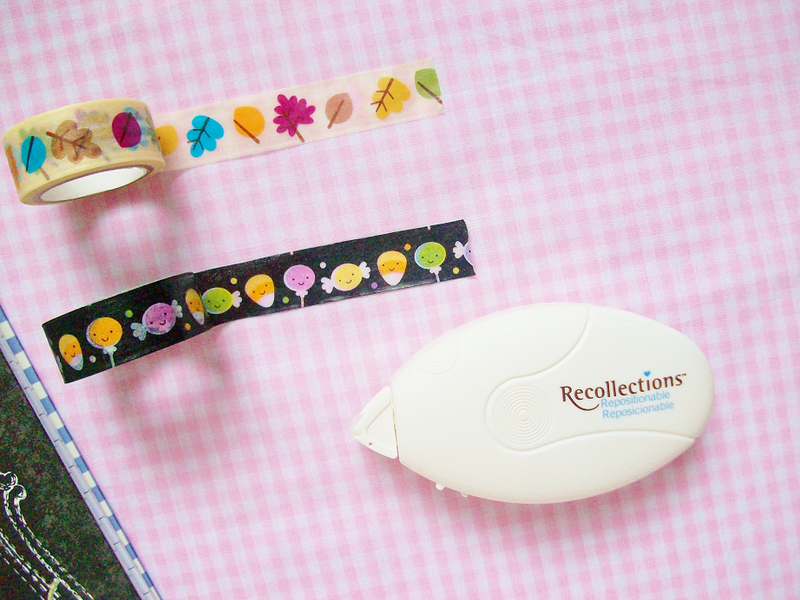 I got annoyed that I would have to cut away excess tape so I invested in a correction tape tool. This has made my planning routine much more simple. 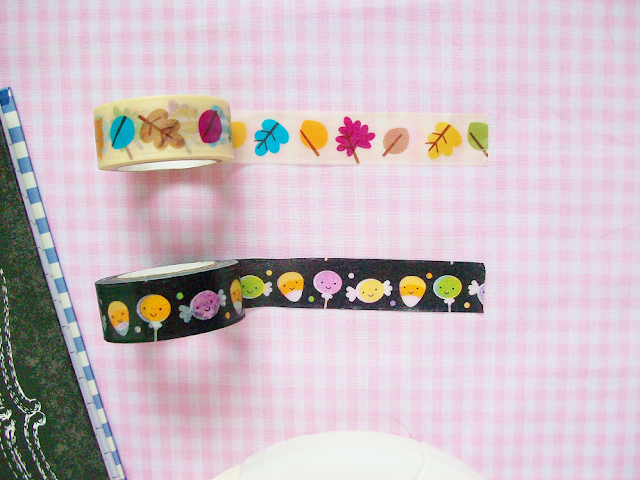 I wanted to include some cute seasonal washi tape that I bought from Aloha Prints Co. 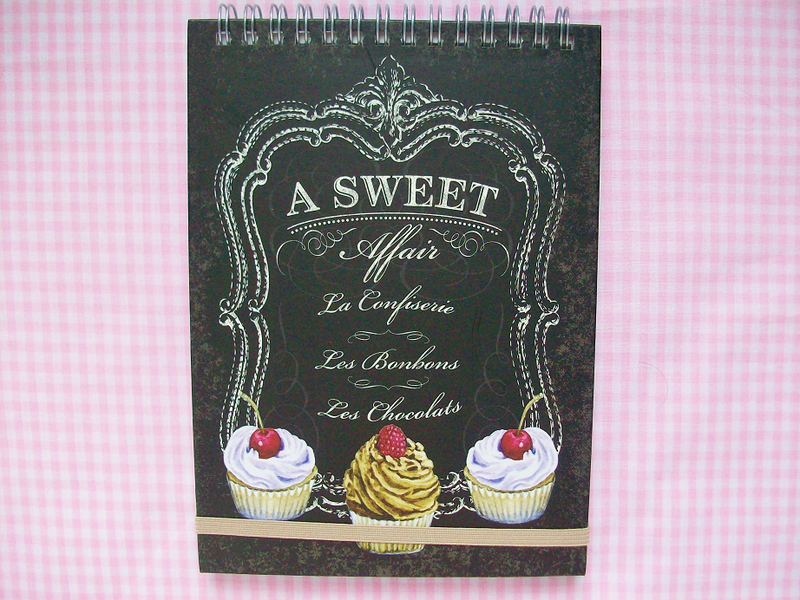 I bought the autumn leaves to decorate my planner from September to November. The bottom washi tape is probably my favorite! I bought it to use in my October spread and I can't wait to use it! It's black and has Halloween candy and lollipops everywhere! Where do you shop for stationary supplies?